The 2016 Hyundai Sonata is our pick for passenger comfort. Both rows are big on head- and legroom - so much so that even your tall friends will fit comfortably in the rear seats. Seat cushions balance soft comfort with excellent support, making the Sonata a great choice for road trips and lengthy commutes. The Fusion finishes a close second, offering its own appealing passenger accommodations and cool modern style. It's easy to find the perfect position behind the wheel, thanks in part to the Fusion's many front-seat adjustments. The backseat also provides ample head- and legroom. Here we like the Ford Fusion. Its Sync voice-control technology comes in handy when you want to alter infotainment settings but don't want to look away from traffic. Plug devices into the Fusion's 110-volt, household-style power outlet to keep them charged on the go. The MyFord Touch infotainment system provides the smartphone integration capabilities that modern drivers crave. The 2016 Hyundai Sonata is also home to a wide range of infotainment features. Android Auto and Apple CarPlay capabilities supply the smartphone integration you need to make hands-free calls and texts or stream your favorite podcasts on the go. With HD and satellite radio, entertainment options seem endless. This race was almost too close to call, but the 2016 Hyundai Sonata wins by a hair. In government crash tests, it earned a perfect five-star rating for overall protection. The Blue Link telematics system is a great problem-solver, with features such as on-demand roadside assistance and automatic collision notification. Like the Sonata, the Fusion is big on high-tech driver aids. The blind-spot monitoring system alerts you to vehicles you might not be able to see. You can pair your smartphone to the Ford Sync system, so it automatically dials 9-1-1 after a collision. The Fusion also earned impressive crash-test scores, including the Insurance Institute for Highway Safety's top score of "Good." Both sedans offer a range of powertrain configurations, giving you plenty of options in terms of fuel economy. However, the Hyundai Sonata has the edge. We especially like its 1.6-liter turbocharged four-cylinder engine, which helps you save the most at the pump, achieving 28 city/38 highway mpg. 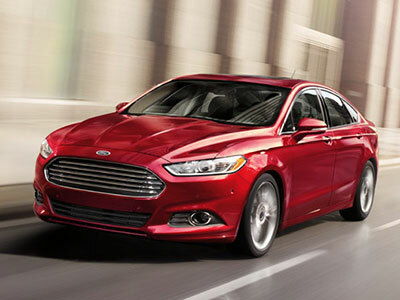 Still, the Fusion offers its own modern balance of power and fuel-efficiency. When you choose the turbocharged 1.5-liter four-cylinder engine, you can earn up to 25/37 mpg. The Fusion's start-stop technology contributes to its excellent fuel economy, turning the engine off whenever you're stopped in traffic. Both the 2016 Hyundai Sonata and the Ford Fusion impress with their interior comfort and convenience features, but the Sonata is our overall favorite. This sedan offers roomy accommodations for the entire family. It's also big on infotainment features, keeping you entertained during rush-hour traffic jams. The Sonata's excellent crash-test scores certainly speak for themselves. On the road, you'll discover a potent ride and substantial fuel economy. 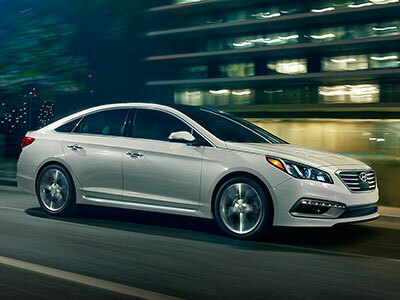 Come in and take the Sonata on a test drive today!